Our methods to teach a student is completely different based on animation, experiments & activities which help to clear their concepts easily and remember the things forever. We provide overall development of students beyond the academics. Attend demo class & experience the difference. Tuition's are available all over Ahmadabad. 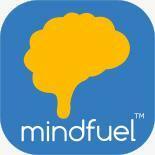 "I was looking a personal tutor for my cousin and I came to know about MindFuel. They were providing unique approaches for learning. They started teaching my cousin's and his interests in various subjects increased rapidly. We are very thankful to MindFuel for providing quality education. " "MindFuel provides one of the best methods to teach. They make students learn using animations, videos and stimulation tools which helps us to remember the topic very easily. I highly recommended MindFuel to every students to clear their concepts and stand out of the crowd. " MindFuel conducts classes in BCA Tuition, BSc Tuition and BTech Tuition. It is located in Ahmedabad, Ahmedabad. It takes Regular Classes- at the Institute and Online Classes- via online medium. It has got 2 reviews till now with 100% positive feedback.